From Jane Grigson's Fruit Book, originally published in 1982. Allow one for each person. Peel and hollow out the cores of six to eight quinces, being careful not to pierce through the bottom of the fruit. Sprinkle each one with lemon juice as you go. Stand the quinces in a buttered gratin dish. Mix together to a cream the caster sugar, butter, and cream. Stuff the quinces with this mixture – if there is some left, add halfway through the cooking. 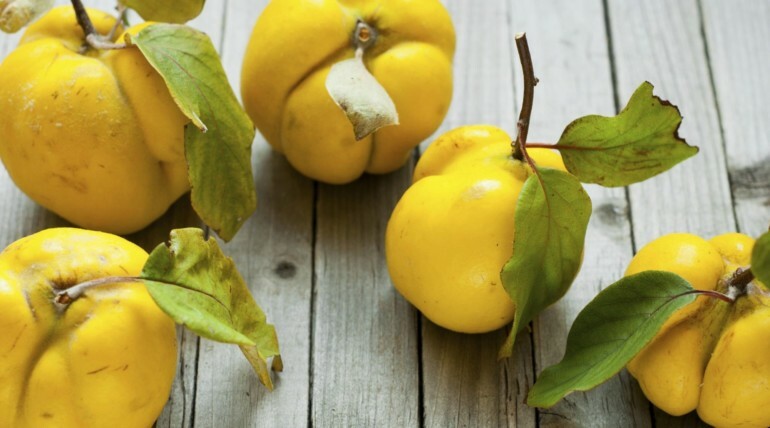 Top each quince with a level tablespoon of sugar and bake at gas 5/190˚ (375˚ F) until the quinces are tender. Serve with cream and sugar.